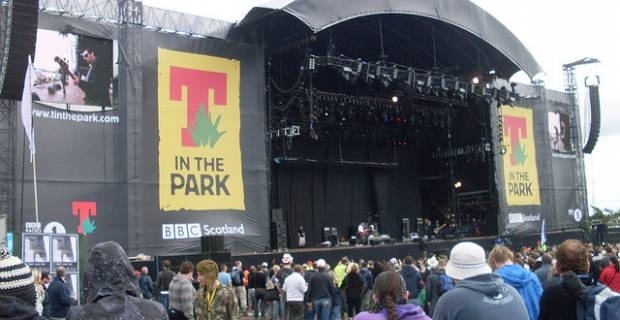 The 2012 T in The Park festival, a major Scottish music festival that has been running annually since 1994 was held this weekend and Nicki Minaj was the talk of the show for all the wrong reasons. The American singer, real name Onika Tanya Marag, went above and beyond acceptable behaviour with her outrageous and selfish antics. She complained the grass around her dressing room was too long and demanded that it was cut. A source reported that “Nicki went off on one about the grass around her area, saying it was far too long for her to walk on." This is not the first time the singer has been reported to bark the same orders. At the Hackney Weekend a few weeks ago the singer went off at Radio 1 demanding that the lawn around her dressing room be tidied. It is one thing to be a diva and quite another to be a trump. If the singer had given as much attention to her performance as she had to her dressing room surrounding maybe she would have made it on stage. She eventually came on stage 50 minutes late to hostile reception from the no-nonsenses Scottish crowd who were never going to put up with her. No matter how hard she tried, she was booed after every song and could only perform for just half an hour. The crowd walked away to see Reverend And The Makers who were on a different stage. “You can (I suppose) be a d*** to your own crew, you’re paying them. But everyone else? Not to mention the people out front. Ugh." Performers at T In The Park agreed Nicki Minaj acted like a 'selfish s***head' backstage at the Scottish festival.